to launch the brand's first fashion film featuring ambassador Rose Byrne. The luxury brand entered into voluntary administration in November last year and hit pause on all advertising after slumping sales resulted in a $14.2 million loss. It's the second major win for Host/Havas since the two agencies merged last year and CEO Laura Aldington was placed at the helm. 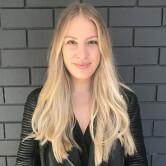 Host/Havas has bagged the creative duties for Oroton with the agency tasked with leading the transformation of the business, AdNews can reveal. Host/Havas will overhaul Oroton's vision, brand and approach to the market as it celebrates its 80th year in Australia. Oroton's last advertising campaign came from TBWA Sydney which was appointed in 2016 to launch the brand's first fashion film featuring ambassador Rose Byrne.